roast cooked after 1 hr. 45 mi. It was perfect! Estaba de suerte en la búsqueda de un precioso asado de carne de cerdo, tales. No puedo explicar lo que ha pasado ya desde que he hecho una. Esta fue una fresca, local, cerdo feliz que estaría feliz de estar en mi menú. 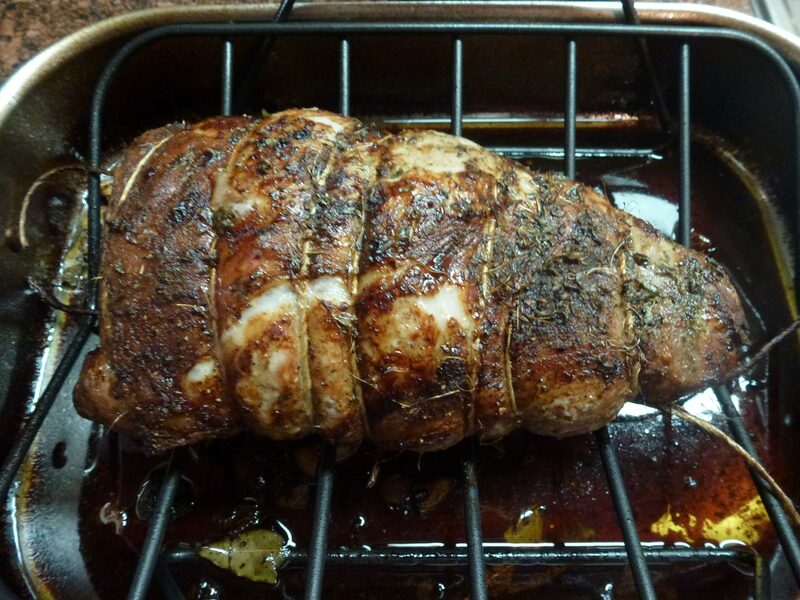 How to make the perfect pork roast is almost entirely up to you. ¡Por supuesto, first you need a great cut. Always buy direct from the farmer if you can. 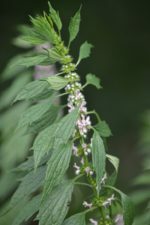 Hoy, those options are certainly possible, as it’s been made clear by so many local food movements, that you can avoid the ‘super market’ meat, which have been sitting around for days under plastic and fluorescent lights. When we buy meat this way, we have not idea its origins, nor its lifestyle. It’s a very impersonal way to shop for meat. We have so many local farmers trying to make a living at raising happy, healthy meat, that we’re just plain ignorant if we continue buying “multa” cuts of meat at the markets. 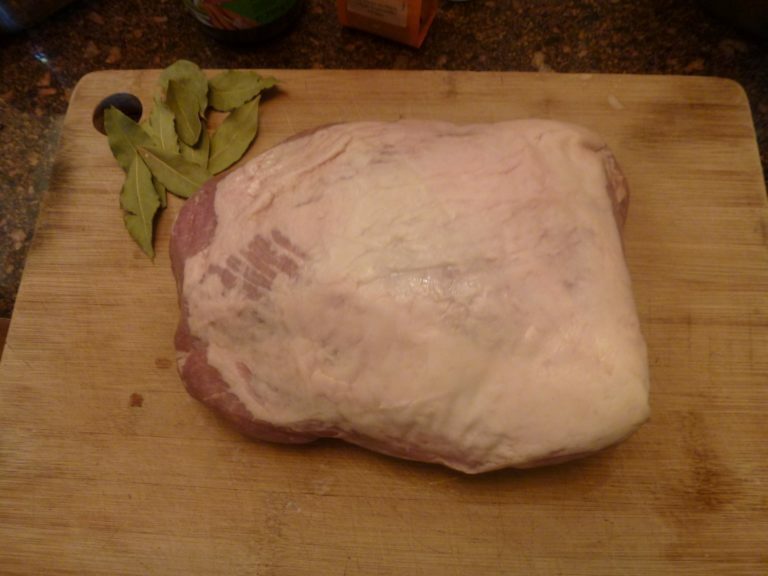 Así, as I was saying…seasoning your locally raised meat is the next most important step to your success. We wanted a nice Italian flair to the roast, so the options were: Bay leaves, mantequilla, ajo, sal, pimienta y aceite de oliva. 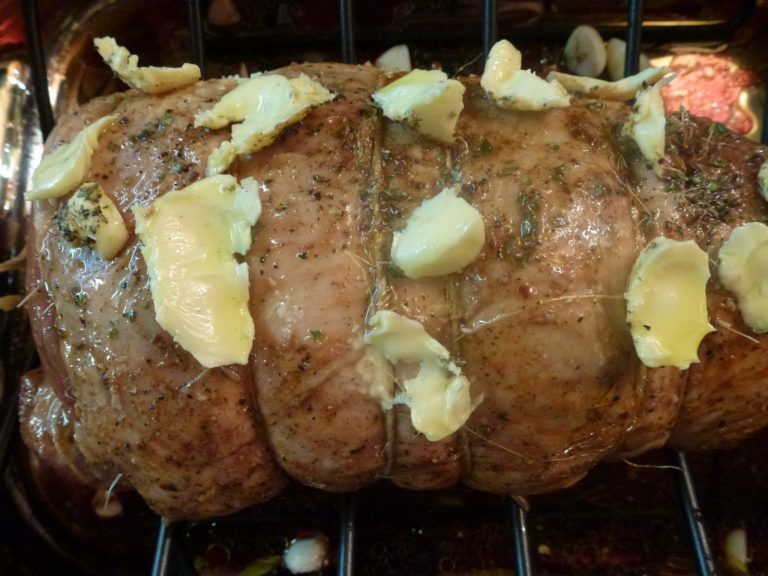 My daughter took the time in prepping the roast, even tied it all up before she began. Tying holds everything together, including the juices when it cooks. Just remember to cut the string out when it’s done and you’re ready to cut. If you’re planning a nice au jus for the meal, add enough bouillon stock and wine to the base of the pan. A lot of it cooks off, but at the end, you get the drippings combined with the liquid, which makes an excellent base for your sauce. The local farmer where we bought the roast suggested baking in the oven @ 180 grados, Celsius for about 1.5 a 2 horas. 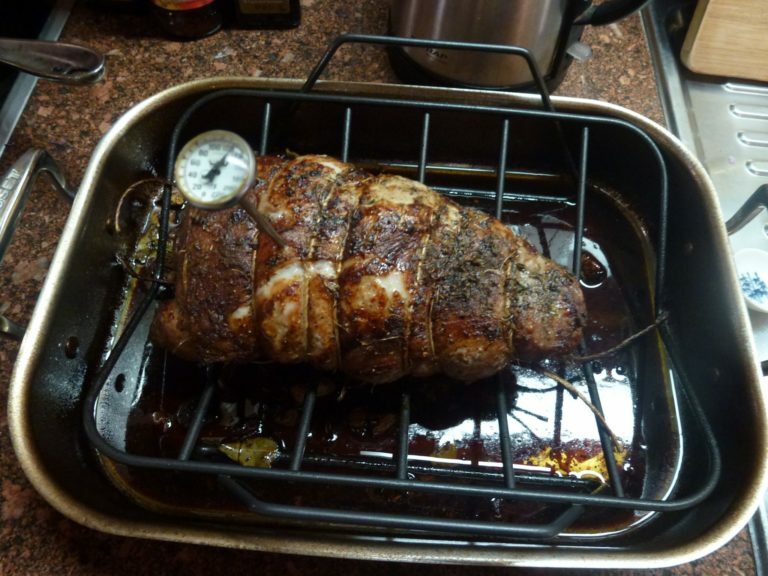 I took the roast out mid way and measured the temperature, and decided it wasn’t quite ready after 1.5 horas. I turned the heat to convection, and up to 200 grados, then roasted for an additional 15 mi. It was shear perfection! 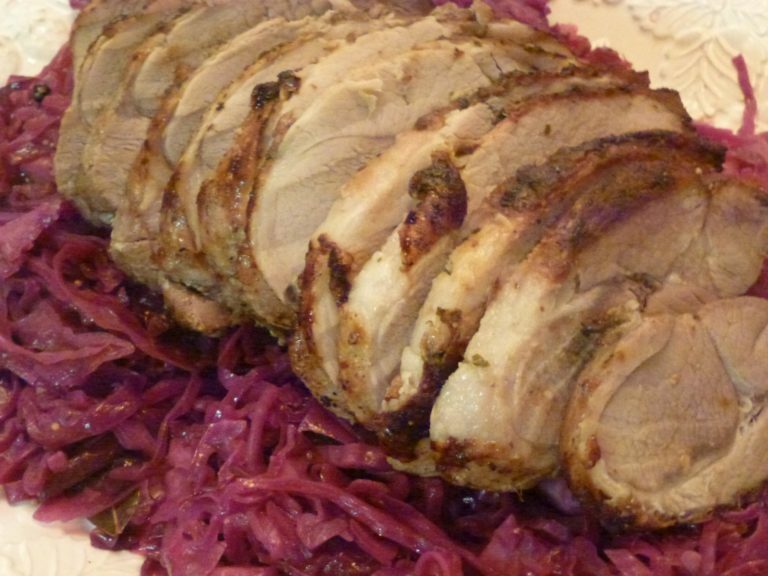 Make a delicious, savory roast of pork. It’s so simple and delicious! tie up and season your roast. Bake @ 180 grados Celsius. when it’s roasted, slice and spread out, Servir y disfrutar!